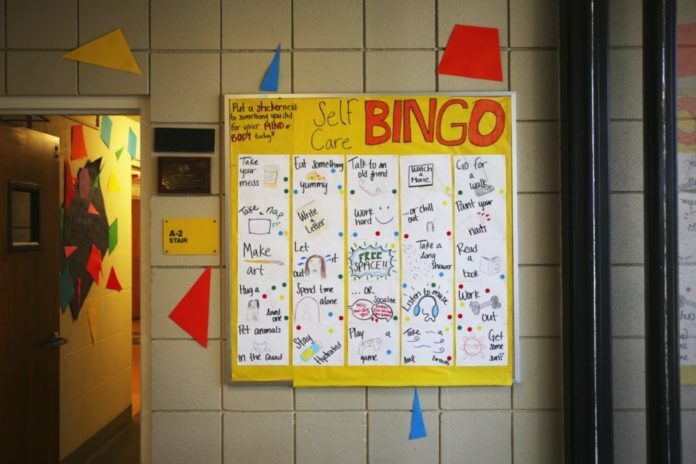 The Resident Advisers of Pauley Hall at Occidental College created a Self-Care board to remind students to take care of themselves and each other. Taken on Thursday, Feb. 7th, 2019. Nancy Zhou/The Occidental. According to statistics obtained from Residential Education and Housing Services (REHS), conduct violations involving marijuana in residence halls increased 88 percent between the Fall 2017 and 2018 semesters, while alcohol-related incidents dropped 33 percent. Students across campus were documented for marijuana possession 79 times in Fall 2018 compared to 43, 47, 29 and 42 times in the preceding four fall semesters. Concurrently, residents were documented for alcohol possession 72 times in Fall 2018 compared to 184, 134, 102 and 108 times in the previous four semesters. 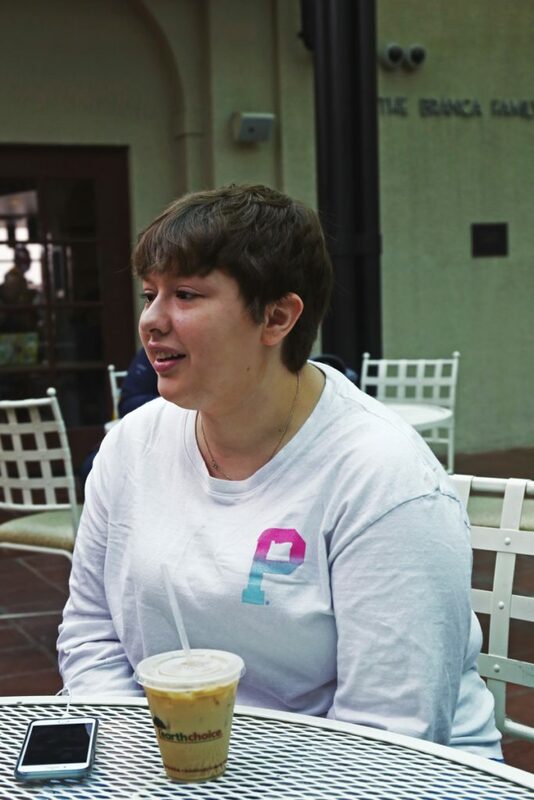 McKenna Sims (sophomore), a resident adviser in Newcomb Hall, said she was not surprised by the statistics. Others, like Athena Villard (junior), president of Students for Sensible Drug Policy (SSDP), were surprised by the data. Representatives of REHS and Campus Safety did not meet with The Occidental for an in-person interview. Director of REHS Chad Myers could not cite one specific factor as an explanation for the change in the number of documented incidents, but he pointed to marijuana legalization and college policy changes as possible reasons. Before 2014, a first-time marijuana violation could result in probation, but the policy has since been changed so that it is now usually not considered as a first-time sanction, according to Myers. Myers also cited policy changes for the decrease in alcohol-related write-ups. When responding to large parties, Campus Safety used to speak with every student in attendance, but the policy has been altered such that only house residents are contacted directly by Campus Safety, according to Myers. REHS has also worked with students living off-campus to be respectful of neighbors and other community members, which, taken together, have decreased the number of reports received from off-campus locations, according to Myers. The increased prevalence of marijuana has impacted student life in Newcomb and other halls, namely by drawing complaints from students put off by the smell, according to Sims. Myers also pointed to a rise in complaints to REHS from students having trouble studying due to the smell. The characteristic odor poses new challenges for RAs, who are required to call Campus Safety every time they smell marijuana, according to Sims. “Anytime we smell marijuana we’re supposed to write it up, which is difficult because a lot of times it is the whole building that smells like pot, and so those situations can be difficult,” Sims said. Villard said that conduct violations often may not be warranted. According to Director of Campus Safety Rick Tanksley, the increased volume of documented cases has not affected the normal operations of Campus Safety. Officers are only required to respond if drugs or other paraphernalia are physically present on site, which may not necessarily be the case for every violation, according to Myers. Tanksley added that Campus Safety mainly gets involved with emergency transport situations. He also expressed caution about drawing conclusions between student marijuana use and conduct violations.